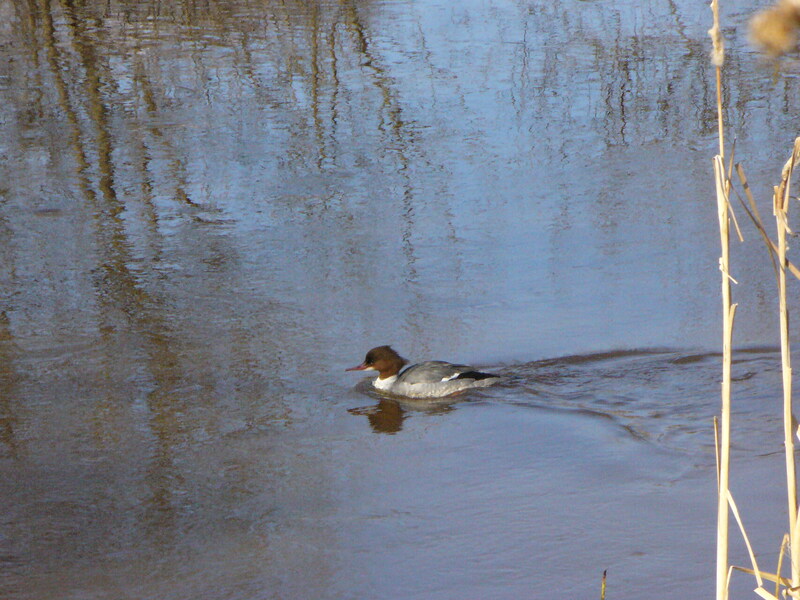 Merganser Duck… I think? Yes! It Is! This is a female merganser duck who seemed to be all alone. First time I’ve seen anything other than a mallard on this river!